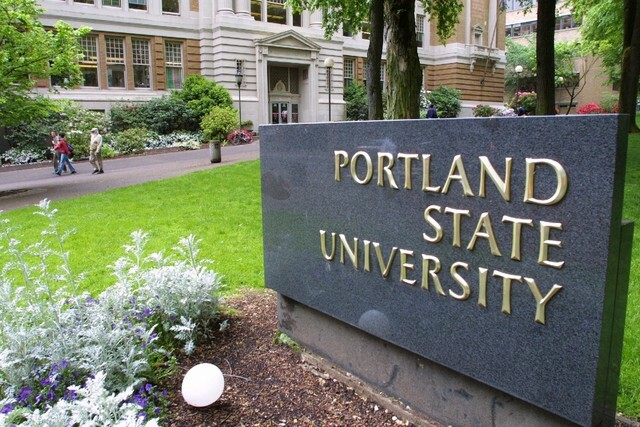 First off, I want to make sure that my Portland readers are aware of the PSU Jazz Night, which is Monday, November 28th, at 8 pm in Lincoln Hall 75. It is open and free to the public. It will feature the PSU Big Band, as well as a healthy serving of jazz combos. 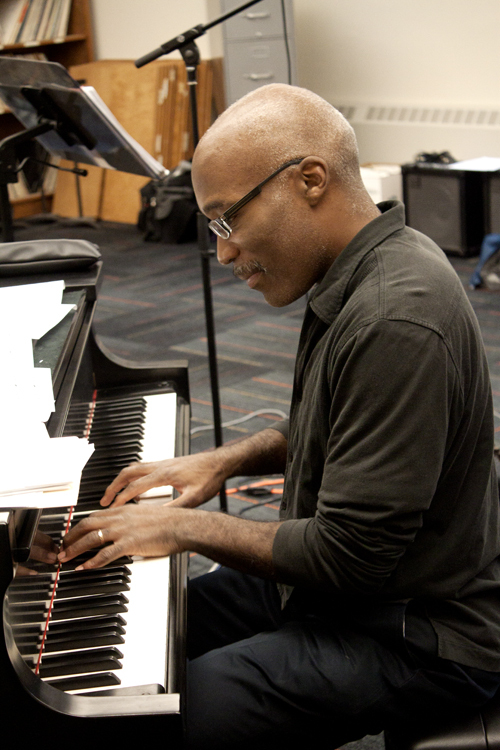 Plus, as an added bonus, there will be a special trio performance featuring pianist and PSU faculty member Darrell Grant. I'm really excited about this performance because it's my first time in an extended concert setting with the Portland State University jazz students. Charley Grey and I have been whipping the Big Band into shape, but I have not heard many of the combos which are playing on Monday, so I'm curious to see what they have been up to for this term. Ezra Weiss, Farnell Newton, and Alan Jones have been in charge of these combos, and I can only imaging what they have in store for us. Please try to come out and support this wonderful evening of music. "this amp goes to 11...."
Secondly, I wanted to tell you about my Friday night, which was a jazz double header; I took the streetcar down to Jimmy Mak's to hear Mike Prigodich's fuson band. Prigodich is a good friend and a great guy, and also a great composer and pianist/keyboardist. Prigodich had some great help; Damian Erskine on Bass, Reinhardt Melz on drums, John Nastos on saxophone, and Rafael Trujillo on congas. This is band is top shelf; they were super tight and super exciting. The music was high energy(Prigodich joked:" I don't know how to play slow!") but varied enough to keep my interest. 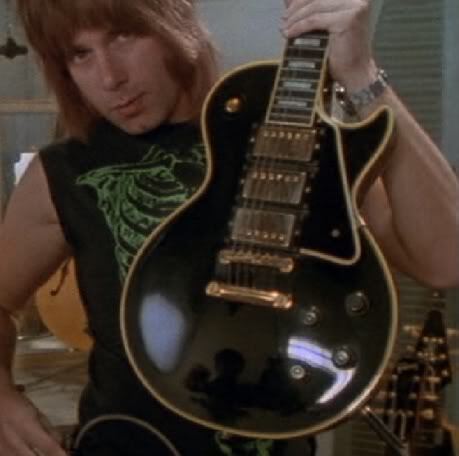 Highlights of the set included a tune in 11/8, written for Nigel Tufnel, the fictional character from the cult classic film Spinal Tap, who claims to have amplifiers that "go up to 11". Another highlight was a tune written for Chick Corea, which had shades of Corea's "Armando's Rhumba". Much of the music had a latin flavor, rather than funk or rock, and Trujillo on congas helped to solidify this notion. Later on, I walked over to a restaurant called Brasserie Montmartre. I had stopped in to this place a few months ago, and there was a violin and guitar duo playing right next to the window. It didn't seem like the optimal place for a band, and it sure didn't seem like anyone was listening to the music. However, on this night, the band was in a newly renovated downstairs part of the restaurant, and it had a completely different vibe: there was a quartet up against the corner , and a bunch of tables were close to the action, and people were really listening. 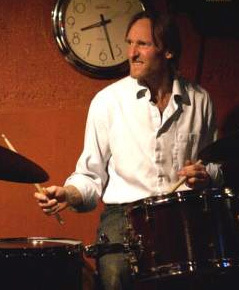 Indeed, the band was made up of Portland's jazz heavyweights: Darrell Grant on Piano, Tom Wakeling on bass, Devin Phillips on tenor saxophone, and bandleader and drummer Alan Jones. This unit has been playing together for some time, and it showed in their easy musical rapport. Grant and Jones really livened things up throughout the set. Grant remarked on the break that the new set up at Brasserie Montmartre "almost feels like Bradley's back in the 90's." I agreed. On the next set, Jones remarked that "this is a band, so when you have a band, and then people sit in, it's a drag! However, there are some folks in the house that we want to feature." (I like Jones no nonsense approach! )Sitting in first was Nicole Glover, a Portland native, who spent some time at William Paterson University in New Jersey. Glover has a softer tone than Phillips, but she stepped up to the plate with some thoughtful, intricate lines, and played expertly over the standard, "The Old Country". Next, I was called to sit in, although they asked me to play trumpet. I obliged, although I was glad when Grant let me redeem myself by getting an extra piano solo on "Rhythm-n-ing". I left hoping that this could be a hip new Portland jazz spot, a place where it would have that "small club in New York" kind of feeling. Speaking of new venues, last night (Saturday) I got to perform at a brand spanking new spot in Portland called Ivories Jazz Lounge and Restaurant (1435 NW Flanders St). This is also a great venue; it has a classy decor, the stage is nice, there's a great sounding Mason and Hamlin piano and a PA system. Also, the staff seemed friendly, and while I didn't have anything to eat, I've heard that it's great food(although that's the norm in Portland-I haven't had any bad food yet...). I played with a group called Zuppa, which featured AG Donnaloia on guitar, Allen Hunter on bass, and Charles Neal on drums.. It was fun because Neal asked be to bring some of my fusion-y charts, which I haven't gotten a chance to play for some time. We also mixed it up with some jazz standard and and some funky favorites towards the end of the night. There SHOULD have been more people in attendance, but I'm chalking that up to the fact that Ivories just opened and they need to get the word out. But a new jazz venue is something I always like to see, and I'm hoping that this will be another great spot for jazz in Portland. An explosion at a car wash near Syria's largest city of Aleppo killed at least five people Saturday, opposition activists said. The blast occurred as security forces drove by in a bus, but it was unclear whether the fatalities were soldiers or civilians, according to the Britain-based opposition Syrian Observatory for Human Rights. In the capital of Damascus, two separate blasts, including one targeting a military vehicle, left three government soldiers injured, according to the group. I have heard one of their songs and I fell in love with their music on a first sight!